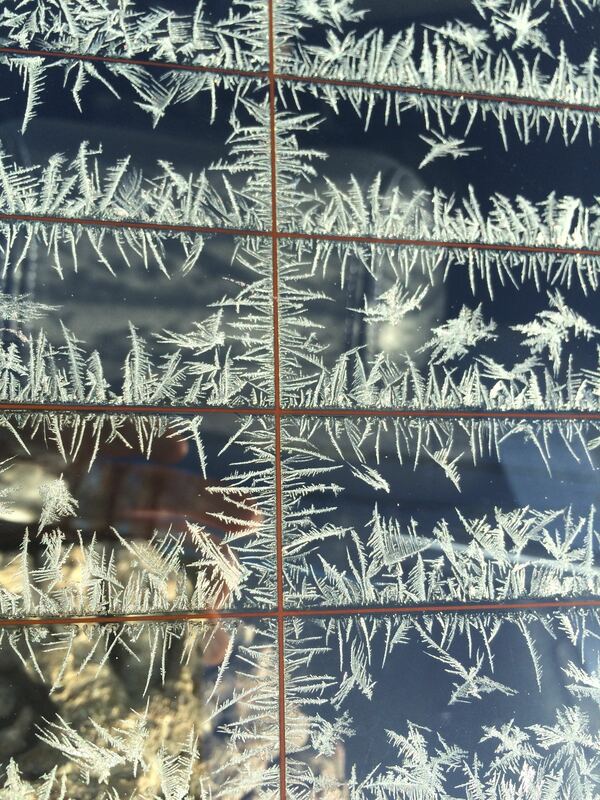 Sometimes frost on the *inside* surface of the car’s windows is a fact of life here at the primary testing facility. The defroster grid in the back window, while typically used to melt frost, the conditions were such that they became nucleation sites for the frost on the inside surface instead! Consensus online is that this problem is related to excess moisture in the cabin, which considering our area has had somewhere between 157.5 – 226 ” this season (70″ difference? yup, that bugs me), tracked in snow and wet carpets is a likely culprit.